This article contains a drawing for an autographed book! 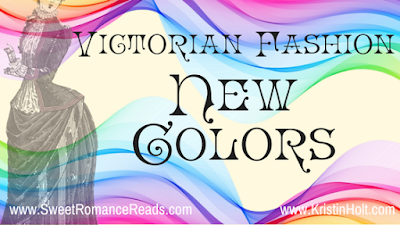 You won't be surprised to learn that "new colors" aren't so new. Our American Victorian ancestors had "new colors"--some with fancy 'new' names--every season. Here is a parade through vintage newspapers, beginning in 1872, Kansas, where a dressmaker had all the new fall shapes for hats and bonnets in the store...everything from ribbons to feathers. Sage Green, Bronze, Reseda, Grayish-Green, Plum Color, Dark Bottle Green, Shaded Blue. So popular and fashionable! Don't forget--that's Mrs. Taffe. The Wyandott Herald of Kansas City, KS, October 17, 1872. In 1882 Philadelphia, Pennsylvania, Sharpless & Sons advertises the "present and coming styles" in millinery (hats) and handsome stockings included: "Ispahan" (delicate cream mull), "merry apple" and "sorrowful sage". Other fashionable shades: Cardinal, Terra Cotta, and Ivory. The Times of Philadelphia, Pennsylvania on May 28, 1882. I must say this 1884 advertisement in National Republican of Washington, District of Columbia, caught my eye. I've long known that ladies gloves were often colorful...but this list trumps all others. Notice these new colors, just in time for Easter: Nile green, leghorn, lemon, elephant, marigold, Havana, taboc, French gray, cadet, sage, fawn, and mushroom. National Republican of Washington DC, April 10, 1884. So many "New Colors"! But not in 1886. According to an advertisement in The Record-Union of Sacramento, California (November 2, 1886), "there has been really but one new color introduced in Dress Goods this season." HELIOTROPE. The Record-Union of Sacramento, California, November 2, 1886. Thank goodness the ad then clarifies they also offer "a dark shade of Heliotrope, almost a plum..." That, I can picture. Wikipedia: "Heliotrope is a purple-pink tint that is a representation of the color of the heliotrope flower. The first recorded use of heliotrope as a color name in English was in 1882." In 1888, Maynard's Dress Goods announced (Freeport Journal-Standard of Freeport, Illinois) The New Colors: Copper (light and dark), Mahogany, Apple Green, Sea Foam Green, Goblin Blue, Boston Blue, Morocco, Strawberry, and New Cardinal. Freeport Journal-Standard of Freeport, Illinois on April 4, 1888. New Colors for the summer of 1890 were: Cuba, Fawn, Cedar, Russett, Chocolate, Walnut, Oak, Cinnamon, Coffee, Calf, Havana, and Tan. Twelve new colors--all looking "brown" to most men. Different shades, maybe, but all...brown. Note that Ruben (the men's hat shop in Pittsburgh, Pennsylvania, who advertised in The Pittsburgh Press) offered hats in all twelve new shades! "Many were the expressions of admiration and praise upon the varied and beautiful assortment of new shades which we opened last Saturday. The most exacting and fastidious customer went away a pleased purchaser. It would be to the interest of every gentleman contemplating the acquisition of a Colored Derby to inspect our magnificent stock before making a selection." The Pittsburgh Press of Pittsburgh, Pennsylvania on May 9, 1890. Part 1. The Pittsburgh Press of Pittsburgh, Pennsylvania on May 9, 1890. Part 2. The Pittsburgh Press of Pittsburgh, Pennsylvania on May 9, 1890. Part 3. On the other side of the country--Pacific coast this time--"Some New Colors" were defined by Nellie B. Ward in The Record-Union of Sacramento, California on June 22, 1890 (just six weeks after the fancy hat advert was inked in Pittsburgh). Thank goodness for the definitions...I'd never know that "Encore de chene" is a deep tan nor that "Morron" is chestnut. Who knew? The Record-Union of Sacramento, California, on June 22, 1890. 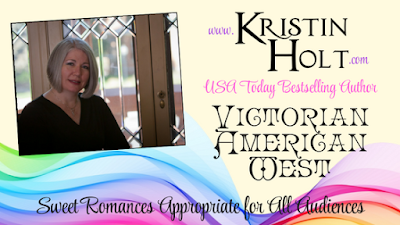 I enjoyed writing a heroine who owned her own dressmaker's shop, just prior to turn of the century (1899). She wore widow's weeds but sewed fashionable clothing in a variety of trending colors for her customers. Don't let MaybeThis Christmas fool you--it's not only a Christmas story. In fact, it's one of those all-season tales that reminds us that with the changing of seasons comes a new opportunity to try new things, risk a little, and maybe--just maybe--fall in love. 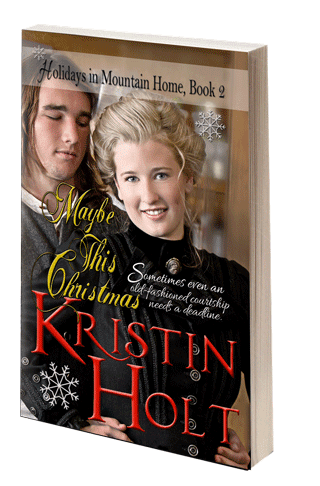 DRAWING: I want to give away an autographed paperback of Maybe This Christmas to TWO entrants! (I'll substitute a kindle edition if winner is outside the United States OR if the winner prefers a kindle edition over the paperback). To enter, answer the following question (scroll down and reply in the field provided)--or reply with something similar--your thoughts to "new colors" in the fashion world. Winners will be posted early tomorrow morning (26th) right here and in "the cafe". Good luck! Be SURE to check back to see if YOU won! Are you fascinated with new colors each season? What colors are catching your eye in the clothing stores, now that Spring is officially here? 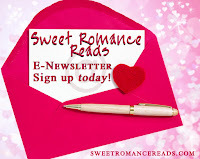 Same thing with our Sweet Romance Reads Newsletter--a free set of short stories, just for joining! Easy to opt in, and easy to opt-out (but why would you?--we're a lot of fun!). The colors of 1872 and 1888 are familiar names and I love some of them. Some of the other colors mentioned are completely new. I haven't had a chance to shop this spring but i did read that "Blush" would be popular. In the picture it looked like a pinkish beige. Thanks for a fun post and for this giveaway. Thanks, Connie! I'm personally enamored of Heliotrope (as a non-gardener, I would've been utterly lost to identify that shade). "Blush" is my daughter's favorite--and she looks fantastic in it. So glad you stopped by and entered the drawing! So glad you stopped by to share in liking Heliotrope (gorgeous, isn't it?) and to enter the drawing. It's always fun to see what names are given to different shades of a color. I'm pretty boring color wise myself. My daughter is the one that loves wearing the bright colors of spring. I'm glad you found this visit to the late 19th century interesting. =) I love digging into those decades and learning how people lived. So fun, Kristin. Heliotrope is quite the color, but something about a pair of "French gray" gloves sounds so classy. Thanks for sharing! Yes, indeed! "French gray" sounds gorgeous for kid gloves. I also liked the gloves advertisement (I think it was gloves, probably kid leather) called "elephant". Many of the names for greens appealed to me the most. Thanks for chiming in; such a pleasure to see you here. I see that colors were fashionable early on. Now each season we wait eagerly to discover what the most popular colors are for the season so that we can be in style.Working in stores or in the fashion scene you are usually aware of the colors for the season before they are brought out to the public. It is exciting to see what the new color trends will be for the season each and every year. You're so right...those in retail or fashion/design know ahead of the general public. =) I'm always surprised to see how early each season the new clothes are on display in clothing stores. Swimsuits in February (in North America)! I've put all entries into the Stetson--and withdrew the two winners' names! 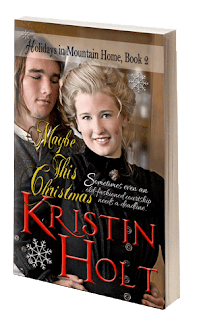 Each of you ladies have won an autographed paperback of MAYBE THIS CHRISTMAS, or if, you're outside the U.S. or if you prefer a kindle edition--a kindle ed. of the same title. Winners--please contact me privately either through the contact page on my website: http://www.kristinholt.com/contact-kristin OR by emailing me directly: Kristin(at)KristinHolt(dot)com with your mailing address --OR-- preferred email address (which means you prefer kindle or are outside U.S.). Prizes will be awarded ASAP!